Find our daily rates in the table below. 5 nights minimum stay. Exceptions always at the price of the main season. Check in from 18pm, check out until 10am, we are flexible. Pet: 5 €/day | Extra bed: 10 €/day. Booking: 25% deposit by bank transfer or , balance two weeks before arrival. Free pickup from Sibiu airport or train station. Fast internet via WiFi, maps of the area. Bed linen, towels, soap, shower gel, spices, gas, electricity, firewood, water. 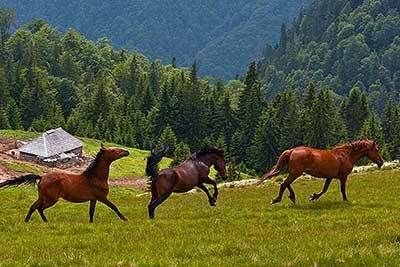 Peace and recreation in fresh mountain air. For details, click on the lodging of your choice and check the availability in the calendar (link below the prices). Bus and train are running 2-5 km away in the small town of Saliste. We recommend a car if you want to be mobile for the many attractions of Transylvania. The highway is 5 km away. There is a small shop in Vale. The town of Saliste 2 km away offers more shops, a farmer's market, a bank with ATM and an exchange office. Whatever is missing here can be found in Sibiu at the Cibin's Market and in retail or department stores such as Real, Carrefour and Lidl. For dining out we recommend the restaurants at Saliste or Sibiel 2-3 km away. You can also order traditional menus of our cook, fresh on the table whenever you want. On request, our cook provides breakfast or swings the wooden spoon. She conjures traditional menus fresh to the table. Also available are farm products from the village, such as fresh milk, goat or sheep’s cheese, forest honey and homemade jam, Zakusca, pickled vegetables, wine, and Schnaps. 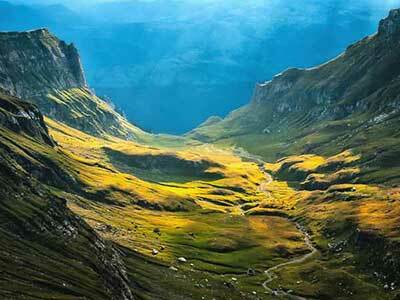 Guided hiking tours in the Carpathians, through Sibiu and other medieval cities. 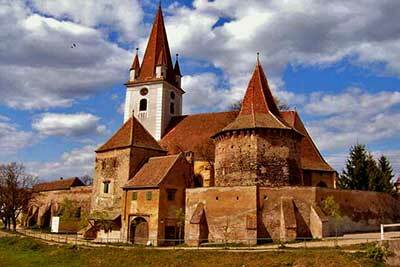 Try our partners from Transylvania-Guide. Tip: trip to our shepherd's hut (if available) in the mountain meadows. Very basic standard, but with lots of fresh mountain air for stressed lungs. A spring emerges a stone’s throw away, the trees are full of cherries, and you can get cheese and milk from the shepherd next door. Ascent in our horse cart and, by request, traditional shepherd stew in the kettle on the campfire.